Shimizu Shinjuku is the best-known entertainment city in Japan that is lined with skyscrapers, bland shops, restaurants and leisure facilities. 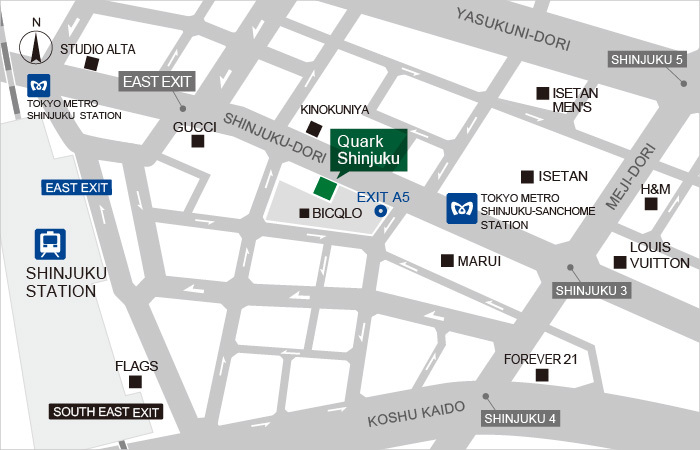 Shinjuku station has the largest number of passenger and the most convenience for transportation, Shinjuku shop is 3 minutes’ walk from the station. It is not only Japanese, but also so many foreigners gather the best at Shinjuku city. Even though there are competitive watch shops around there, we are the only one that we are the largest ROLEX specialty company in Japan. We have a variety of ROLEX watches such as new, pre-owned and vintage, is displayed as soon as is arrived at our shop. We are fully ready to accept many foreiners as a global shop. We have an English speaker and a Chinese speaker there. You can inquiry from Facebook, Weibo, QQ and WeChat. Feel free to contact us!